Browse a Christian book website or bookstore and notice all there is for leaders and would-be leaders. There are studies of leaders, keys to leadership, and tips on becoming a leader. Books that promote servanthood tend to be about leadership. But how many books inspire us simply to serve one another? The appeal of leadership has hijacked the biblical call to servanthood. As a result, we major on a role that will only ever be held by a few, and we largely ignore a role that ought to be held by every Christian. 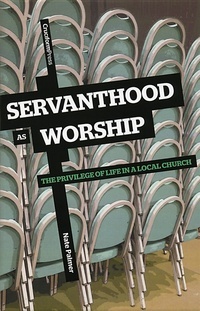 Whatever happened to servanthood?